Chairman Ben Wilson (Washington, DC) was featured in Diverse: Issues in Higher Education's "Black Scholars Matter" series for Black History Month 2018, celebrating Black academicians and their work. Diverse Issues serves as a source of critical news, information, and insightful commentary on the full range of issues concerning diversity in American higher education. The feature calls attention to Ben's role as adjunct professor of Environmental Law at the Howard University School of Law, a Historically Black College or University (HBCU), as well as his position on the board of directors of several organizations, including his alma mater Dartmouth University. 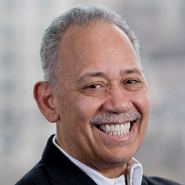 Ben has served two terms as co-chairman of the Washington Lawyers' Committee for Civil Rights and Urban Affairs and has been recognized for his leadership in diversity and inclusion by numerous organizations and publications.